In Arabic Language, The word ‘Dawshah’ has few meanings between making noise and unseeing. 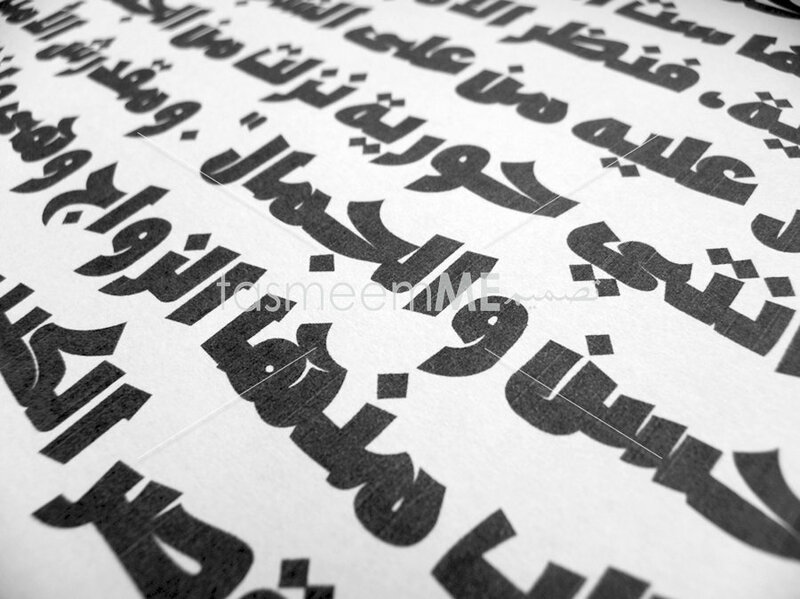 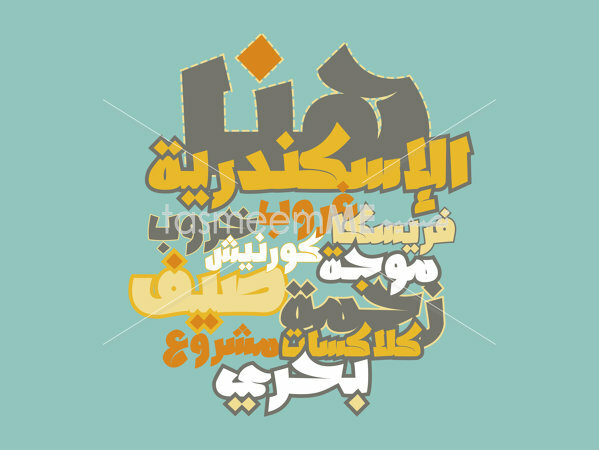 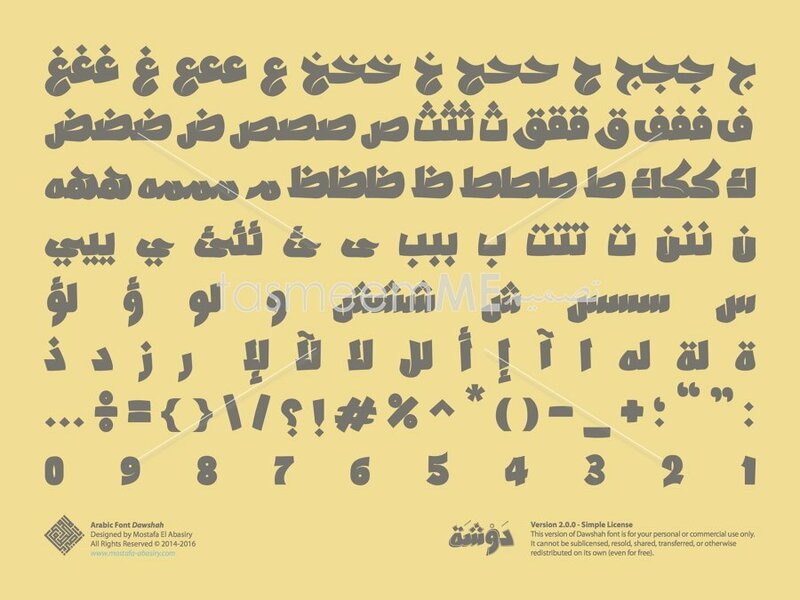 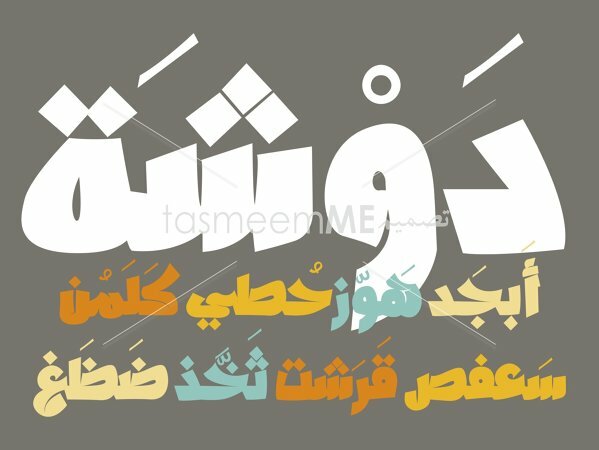 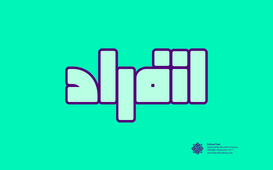 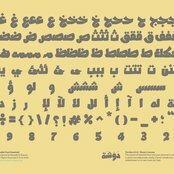 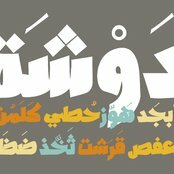 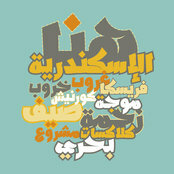 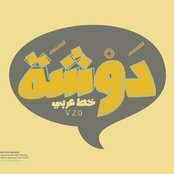 Dawshah is an Arabic font that is exclusively made for casual titling. It is heavy and sponteniously styled to have the ability to communicate texts loudly. 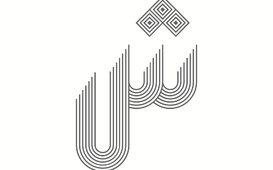 Dawshah suits logotypes, T-shirt typography, events, book covers and other creative projects.